The New Matthew Bible is the only 'modern' Bible which is not. 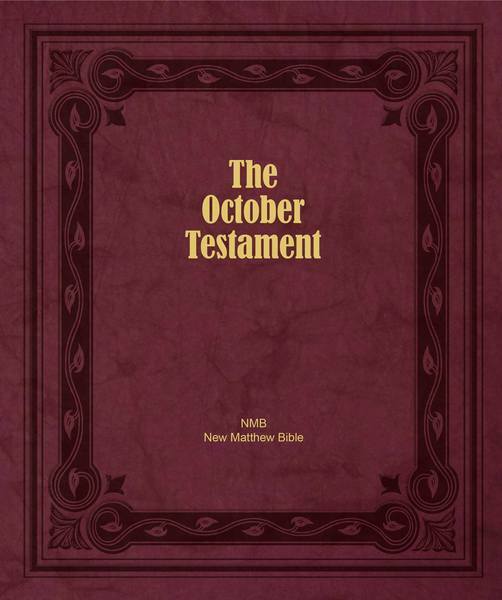 This is the New Testament of William Tyndale, his final revision of 1535, now gently updated. It is not a new translation. It is William Tyndale's work made understandable for today with the light editorial touch of Ruth Magnusson Davis. Few people are aware that the Matthew Bible formed the base of the King James Version, but everyone will recognize the familiar language. Ruth has maintained Tyndale's beautiful style and guarded the historic language of the faith. She has also been faithful to every detail. For example, 'tribute' is not changed to 'tax,' as modern Bibles have done in the gospels and at Romans 13:6. 'Tribute' is a special levy paid to a foreign power for protection or as a sign of submission. 'Tax' is a more general word and suggests domestic payments. The Jews were required to pay tribute to Rome, a hated conqueror, from whom they hoped Messiah would deliver them. They did not want to hear that they should continue to pay it (Matthew 22:21, Romans 13:7). However, this teaching helps them (and us) understand not only that we should pay all lawful dues, but, more importantly, that the Messiah did not come to win political emancipation for the Jewish people. For his kingdom is not of this world (John 18:36). He is a spiritual redeemer to both Jew and Gentile, and came to win eternal life for everyone who would believe on his name. But this lesson is lost when the words and historical context are altered. Tyndale's New Testament informs and feeds the Christian soul with sweet clarity and truth.